Oren's Money Saver: Dunkin Donuts - Free Beverage with Any Purchase This Week - Targeted? Dunkin Donuts - Free Beverage with Any Purchase This Week - Targeted? 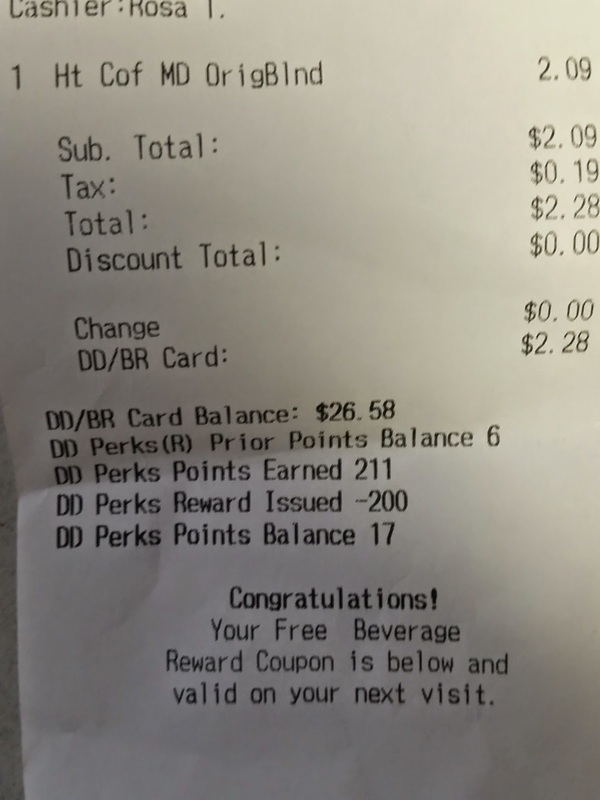 I happened to be buying a drink from Dunkin Donuts this morning and I noticed an offer my Dunkin Perks for a free beverage for any purchase this week. I don't know if it is targeted, check your account to see if you have it. The free drink coupon is printed on your receipt so don't throw that out! It was also sent to my email, so don't worry about that.